Tranquility Bay Beach House Resort is one of the crown jewels of the Marathon real estate market. This stunning beachfront resort offers guests plenty of modern amenities as well as great seaside views and splendid weather year round. Tranquility Bay offers guests 87 beautifully designed beachfront villas that are perfect for those looking to escape to a tropical paradise. The resort also offers a plethora of top-notch amenities and activities, including wireless high-speed Internet access, a gourmet kitchen in every room, premium cable television, fishing, snorkeling and swimming. Tranquility Bay also offers world-class dining, business meeting venues, wedding and event space and professional catering. The resort’s experienced and courteous staff will help you have a truly memorable experience. Featuring glorious weather year round and endless activities such as Florida Keys fishing, Marathon is an exciting destination for family vacations, romantic getaways, and adventure tourism. 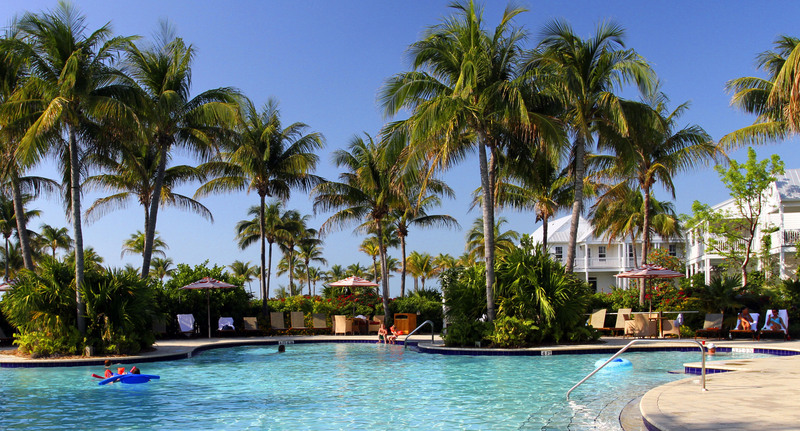 With its exceptional setting, comprehensive facilities and knowledgeable staff, Tranquility Bay is the ideal choice for those who wish to experience all the Florida Keys have to offer, especially for those looking to the explore the awaiting adventures in our surrounding Florida Gulf waters. With its unique island location, Marathon anglers enjoy spectacular fishing in the Florida Keys 12 months a year. The Gulf of Mexico abounds with snapper and grouper while backcountry flats teem with bonefish, tarpon and permit. Oceanside is an outer reef that is a magnet for a wide variety of fish species. Some of the world’s best sport fishing waits just outside the reef, where you’ll find dolphin, tuna, marlin and sailfish. The Adventure Fishing Director at the resort would be pleased to help you plan the perfect Marathon fishing trip. Bring the chef at Butterfly Café your catch and he will expertly prepare it to your exact specifications for a memorable dinner. Own a piece of paradise and rent it when you’re not here! Tranquility Bay has an excellent on site staff, with a great marketing strategy already in place. Why reinvent the wheel when you can sit back and let them do all the work? The reservation pool is open and waiting for your customers, when you buy a townhouse at Tranquility Bay, you are buying an investment property. It goes into the rental program and they book your reservations, check in your guests, clean up the room and maintain the property for you. Then at the end of the month, you get a income check for the rentals. The inventory changes all the time, give me a call today to talk about the ownership opportunities that are currently available.